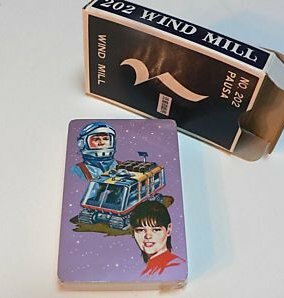 Very RARE Lost in Space Japanese Antique playing cards. Made by Koide 1966 in Japan. 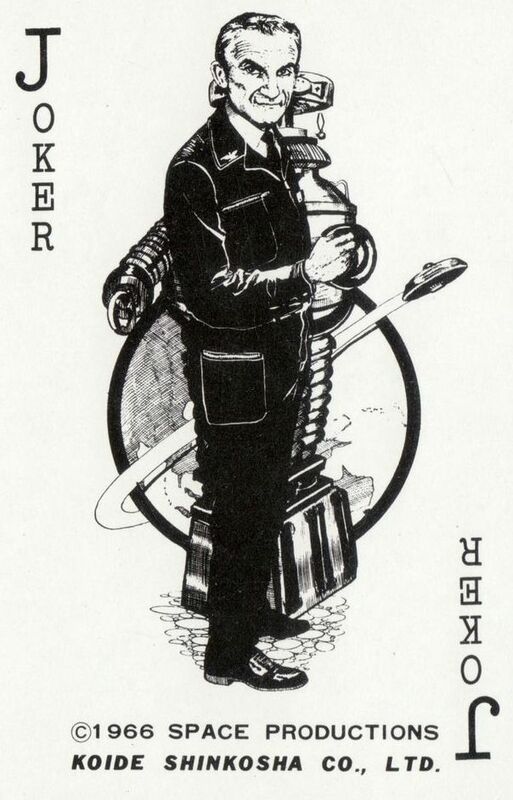 Note that the artwork used of John, & Penny Robinson, and Chariot was also used on Japanese playing cards #1. No surprise here....that Dr. Smith gets the honors of being the "Joker" on these cool cards. Another first, for collectors and fans seeing this set of cards for the first time ever. 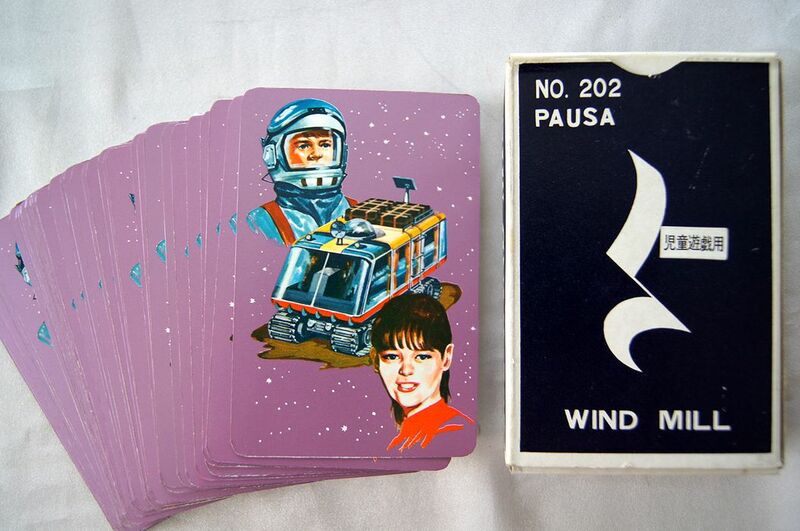 These cards were never sold or released out of Japan during the original run of Lost in Space. Very scare in any condition!